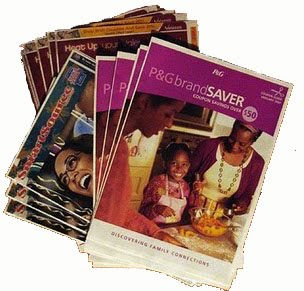 Are you a member of P&G Everyday Solutions? Sign in HERE or signup and you may have samples ready for you! Cascade Action Pacs, Pantene(more samples!) as well as a bunch of high value coupons you can request. Click HERE for a $10 off $20 coupon for Smokey Bones. Good until April 10. Thanks Who Said Nothing in Life is Free? Red Roof Inns are offering $.01 hotel rooms from April 1-April 15. You can only book this deal 0nline HERE and rooms become available everyday at noon EDT. There are a very limited amount of rooms for this price. Simply find an inn, check for availablility and if the price is $.01 the rooms are still available. 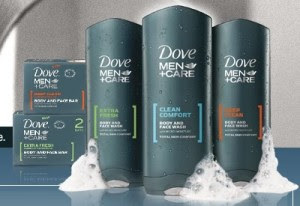 Go HERE to request a sample of Dove Men+Care sample from Walmart. If you are a member of Vocalpoint, you can sign up for another Pantene Sample. The last one they gave out was full size, but I am not sure if this one is. 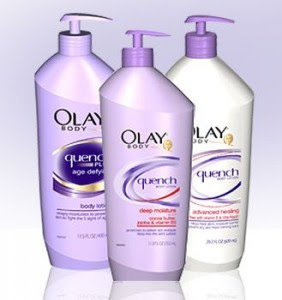 You can choose from curly, fine, medium thick, or colored. Typically they also will send high value coupons as well. Get your sample HERE. 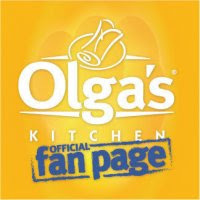 Olga’s Kitchen would like to treat at least 15,000 Facebook fans to a FREE Premium Olga sandwich! They want to have 15,000 Facebook fans by May 1. If they do, every Olga’s Facebook fan will get a FREE Premium Olga sandwich! Below is a list of the Mom2Mom sales that I am aware of for April. If you know of others, feel free to leave a comment or email and I will add it. With Easter and Spring Break it seems like alot fewer sales this month. 2) Choose items that you want to review. Write a review about an item and then save it. Keep reviewing items that you have used. 3) It will take 4-5 days to review and process your credits. Once they are processed the store credit will be posted in your account. A box will appear with your store credit balance under your wishlist. 4) Use your store credit to purchase items from FG. You can also use your credit toward the $5 shipping charge. Reviews must be received by Wednesday March 31. This is legitimate. We received our order today! You can also find updates on facebook. Buy a Quiznos sub, salad or toasty torpedo along with a drink and receive one free! Of equal or lesser value. Coupon is HERE. 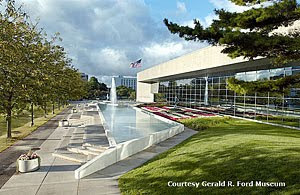 Honoring Mrs. Ford's 92nd birthday, the Ford Presidential Museum is offering free admission on April 8 from 9-5pm. There will be birthday cake for the first 750 visitors. Find more info HERE. Be on the lookout for Catalina coupons. Target is now offering them! 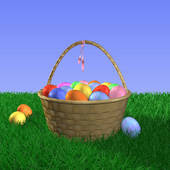 Here is a list of a few Easter egg hunts in the West Michigan area this coming week. Food, prizes, coffee and over 10,000 eggs to find! Easter egg scramble, carnival games, inflatable moon walk and obstacle course, face painting, and a free coloring station. The Easter Bunny will be available for photos. Emergency response vehicles and staff will be stationed outside the mall for viewing and tours. Local mascots will also be on hand. Children ages 3-10 are invited to search for eggs and hear the Easter story He Is Risen! Giant Community Easter Egg Hunt! Join us for refreshments, prizes and fun!! Your children ages 10 and under will hunt for 1000's eggs. In case of bad weather the hunt will be moved indoors. 5th Annual Hudsonville Community Easter Egg Hunt, sponsored by RE/MAX Grand Valley and O'Brien Insurance Agency. Kids up to 10 years old are invited to come and gather prize-filled eggs and have a chance to win one of four Grand Prizes. 4th Annual Allendale Easter Egg Hunt, sponsored by Kris Keegstra- RE/MAX Grand Valley and Appletree Christian Learning Centers. Kids up to 10 years old are invited to come and gather prize-filled eggs and have a chance to win Grand Prizes. Also, the Easter Bunny will be there for pictures. Keep an eye out for the $3.00 off 1 Snuggle coupon in today's 3/28 Red Plum. Here is a brief list of sales/prices of Snuggle for the week. You can find a list of Meijer sale/coupon matchups HERE or HERE. 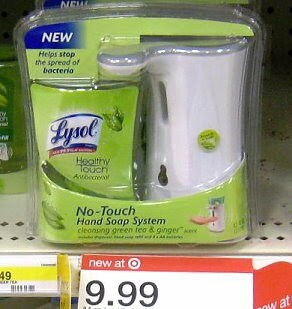 You can find a list of Target sales/coupon matchups HERE. You can find a list of sales/coupon matchups for Rite Aid HERE. Also? Shared your awesome blog with my GR family. In fact, my cousin became one of your followers! Keep up the good work! Congrats! I'll be contacting you shortly. Did you watch Nightline last night? They did a great story about super couponers(video above). What do you think? Do you consider yourself an extreme couponer? Thoughts? I thought that the guy in the video is very close to being a hoarder. Although he is good at what he does he doesn't need a driveway full of jello. Donate it! He is a little too extreme in my opinion and others could be blessed by his donations instead. 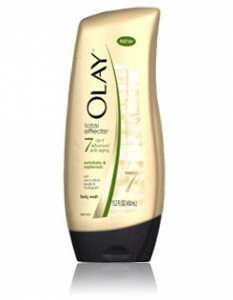 Walmart is again offering a sample of Olay Total Effects Body Wash. This is a new link, so it you ordered it a few months ago, you can request it again! Go HERE to request your sample. To enter the $10 Target gift card giveaway HERE. The winner will be chosen this Saturday! 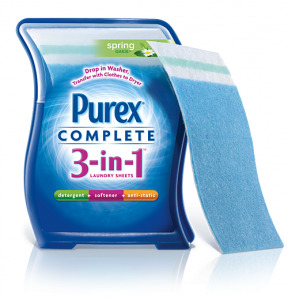 Sign up HERE for a sample of Purex 3 in 1. If you requested it in the past, you can request an additional sample again. Target has the Renew solar outdoor lights for $3 each. However, you can also use the Target coupon HERE to make them $1 each. Unfortunately Target typically will only let you use one Target coupon per transaction so you might have to do multiple transaction if you need a bunch. Yankee Candle just released a few great coupons. Buy 2, get 1 free coupon HERE as well as a $10 off $25 purchase coupon HERE. Today ONLY Thursday March 25, you can purchase opening day tickets to the West Michigan Whitecaps for only $5 per ticket-reserved seats. Regular price is $9.50. You can purchase tickets today from 8AM-6PM for the $5 price. Find more info HERE. 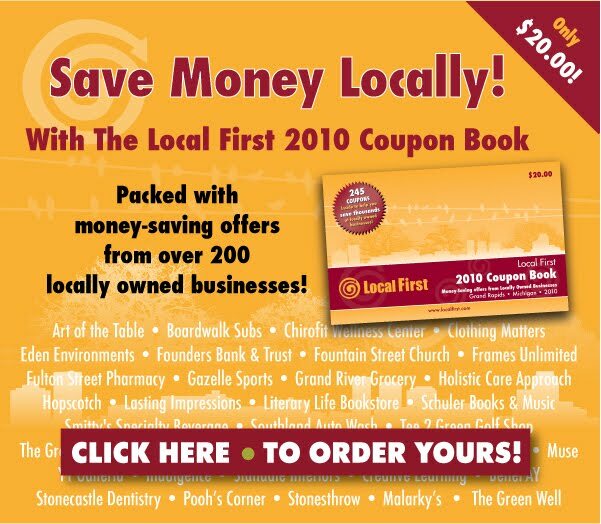 Support West Michigan businesses by buying and shopping with this Local First Coupon Book. 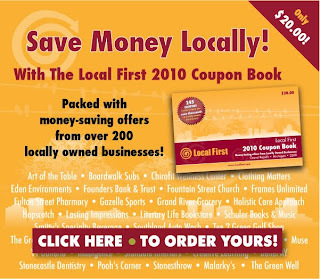 The book is full of coupons from over 200 locally owned businesses. The coupons books are only $20 with free shipping. Go HERE to order yours! Need something to do? I know this is rather last minute, but Celebration Cinema at Woodland ONLY is offering 8 free movies today! Wednesday March 24. All you need to do is become a facebook fan of Celebration Cinema HERE and then print this note HERE for a free ticket. All info about movies times, etc will be on the note. Looks like most start this afternoon and run all evening. 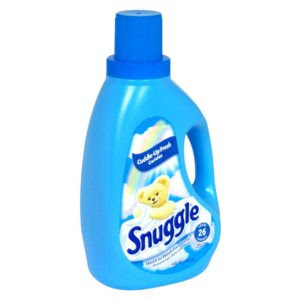 Word out on the internet blogsphere is that a $3.00/1 Snuggle coupon should be coming out in this Sunday's paper 3/28 RP, last time this hot little coupon made Snuggle only $1 per bottle at Meijer during a sale or Free at Walmart. I would highly recommend getting several papers this weekend if you can or buying a few coupons on ebay, etc. Or ask your non-couponing friends for their coupon inserts. If you have been using Swagbucks, you can now cash in your points for a $5 Paypal reward for only 550 SwagBucks! That is a HUGE discount, down from the regular price of 1900 SwagBucks. When you snag this prize, $5 (U.S dollars) will be deposited into your PayPal account. Offer is good TODAY ONLY!!! What is Swagbucks? Its just like google, except you receive points for searching the internet. These points ad up quickly which you can use to buy gift cards, paypal credits, etc. Its a great way to get a little extra cash every month. Sign up HERE! 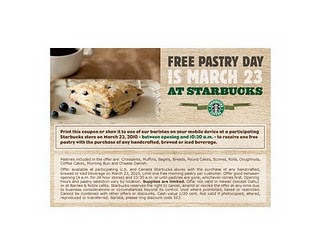 Just a reminder that you can get a free pastry at Starbucks today until 10:30 AM when you purchase a drink and bring in a coupon. Click HERE for the info posted last week for all the details. A while ago Physicians Formula released a BOGO coupon on Facebook. You can still get the coupon HERE. 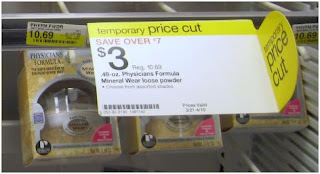 RUN RUN RUN over to Target and check out the price cut on the Physicians Formula loose powder. 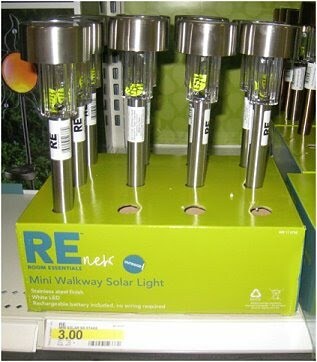 It is reduced down to $3, from over $10 each. You'll be able to score two powders for $3, original price is over $20 for two!! 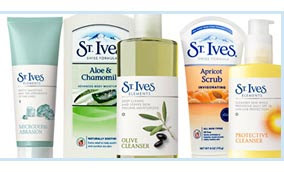 In the Smart Source (SS) coupon booklet from this past Sunday, you should of received 2 St. Ives coupons. They are good on ANY St. Ives products(one is for facial products, the other is for body products) and do not exclude travel sizes. Head to Target and you can get a few smaller travel size St. Ives for free. Prices do vary by region, so not all stores will have these marked for $.97 each. Target supposedly has beach towels in the Dollar Spot section of the store for $2.50. I personally have not seen them, but really wasn't looking for them either. 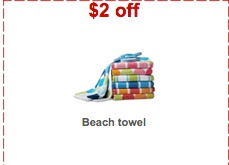 You can use a $2.00 off Target beach towel coupon HERE making them $.50 each. Great Easter basket gift! Wow! BlockBuster Express has over 15 rental codes for free movies. How awesome is that? You can find these kiosks typically inside Family Fare stores, but use the locator HERE. Remember that you are able to rent one movie per code per credit card. You must return the free movie by 9PM the following day or you will be charged $1. Rite Aid: 2 Huggies & Johnson Baby Wash $3.93! While it will be hard to top the first giveaway, I am happy to offer up a $10 gift card to Target for one of my lovely readers this time around. Thank you for reading this blog. I deeply appreciate your support and love that you can participate in this hobby(saving money) with me. One winner will win a $10 Target gift card! * For another additional entry, tell a friend about this blog. Or post about this giveaway in your blog. Spread the word! Hopscotch Children's Store will be offering a workshop called Car Seats until age 8? You've got to be kidding me! Info on the class: No, we're not kidding and you should come to this class to find out why. Whether your trying to pick out your first car seat or it's time to replace an old one, this class is for you! We will cover the best type of car seat and the best position for each age and WHY it's so important to use them. Buying a car seat is one of the most important decisions a parent has to make. Let us help you. Taught by a certified car seat technician. Free to attend. RSVP HERE. While you are on the website check out 2 more classes offered by Hopscotch in next few months-cloth diapering and potty training. With all the Huggies coupons, here is a quick list of the best deals on Huggies Jumbo packs this week! **SORRY, coupon print limit reached already*** That was fast! Huggies sure has been rolling out the coupons the last few days!!! Here is another(the 3rd link in 2 days) $3 off coupon. You can print two per link per computer, just use your back button. Lots of coupons!!!!! Find it HERE. 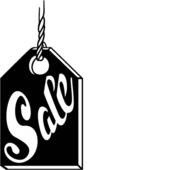 Scroll down the blog to see two more posts for additional coupons. Here is a great offer this upcoming week at Walgreens 3/21/10. You can expect two coupon inserts in Sunday's paper. One from Smartsource and one from Red Plum. Remember, coupons and inserts do vary by region. Yay!!! If you printed the Huggies coupons from coupons.com and have reached your limit, you can also find a new coupon on Facebook. Simply become a fan of Huggies on Facebook and print out an additional $3 off Huggies Little Movers. I cannot tell you how much I love Vocalpoint! Simply sign up and they will send you full size products to try. Remember the Pantene sample post through Vocalpoint? It arrived today along with 3 $2 off coupons!!! 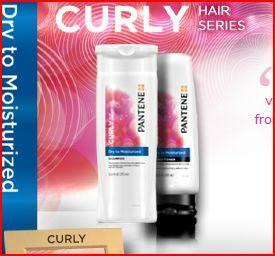 Did you receive your Pantene yet? 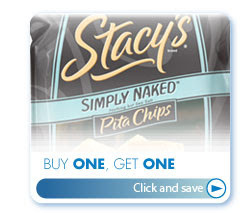 Head on over HERE to get a coupon for Stacy's Pita Chips-Buy one, get one free. Yum! !